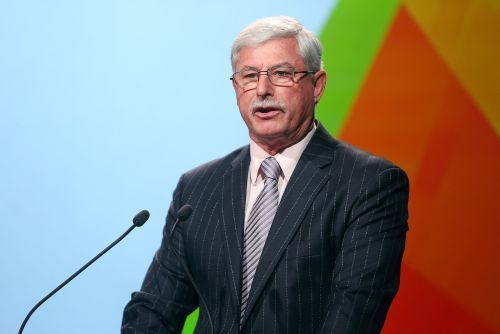 New Zealand's leading Test wicket taker Richard Hadlee has had surgery for bowel cancer and will have follow-up chemotherapy treatment, his family said on Wednesday. The 66-year-old Hadlee, who is considered one of the finest fast bowlers of all time having retired in 1990 with 431 Test wickets, had surgery after a routine checkup discovered a tumour. "This operation went extremely well and he has made an excellent recovery from surgery," his wife Dianne said in a statement issued by New Zealand Cricket. "As a safeguard, further treatment in the form of chemotherapy will commence shortly and last for a few months. "It is expected that, in time, he will have a full recovery." The right-arm fast bowler, who was the first player to take 400 Test wickets and held the record for most wickets until India's Kapil Dev surpassed it in 1994, was also a handy all-rounder scoring two Test centuries.